With honey-jasmine notes and a hint of fruitiness, this Tahitian vanilla inspired scented soy candle is a sweet and sultry vanilla blend against a base of tea. Vegetable soy wax is used to make the candles, which are handmade with lead free wicks and natural and essential oils are used to make the signature perfume blend. Approximate burn time of 30 hours. Paraben free, no artificial colours or animal ingredients used. 100% vegan and cruelty-free. A percentage of proceeds from all Island Vanilla sales go to the Ocean Futures Society, which is a non-profit marine conservation organisation. The Pacifica Island Vanilla Scented Soy Candle - 160g product ethics are indicated below. To learn more about these product ethics and to see related products, follow the links below. 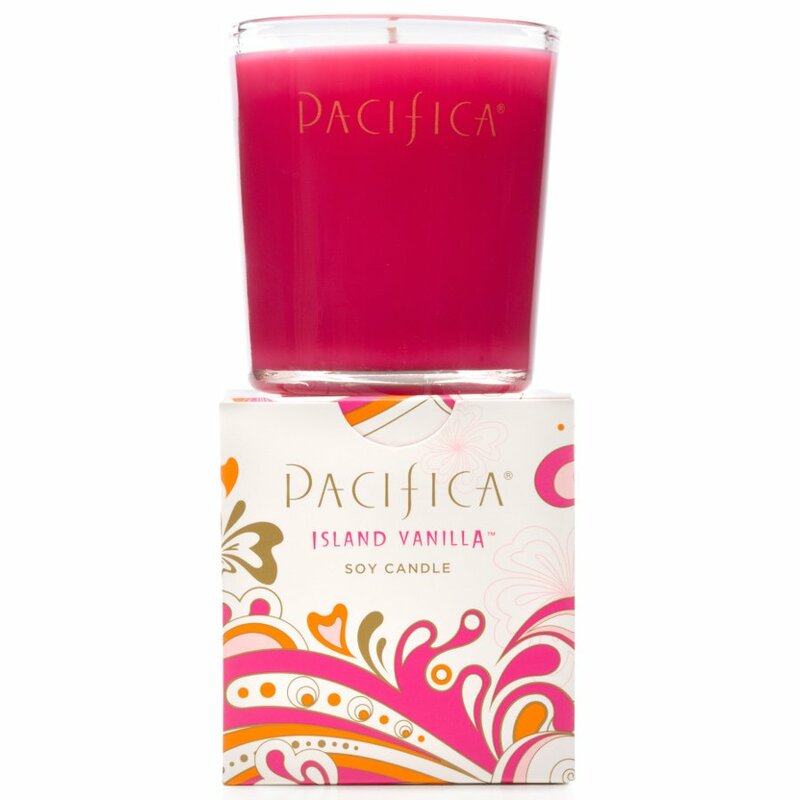 There are currently no questions to display about Pacifica Island Vanilla Scented Soy Candle - 160g.